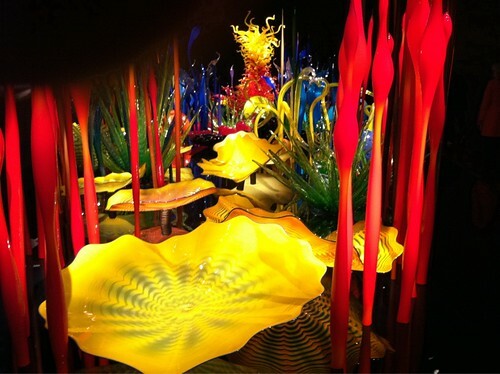 This weekend we had the extreme pleasure of visiting the Chihuly Garden and Glass Museum in the Seattle Center. 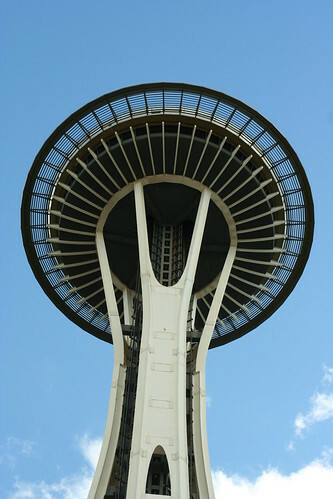 It is located, literally, in the shadow of the Space Needle. It just recently opened it's doors in May of this year. 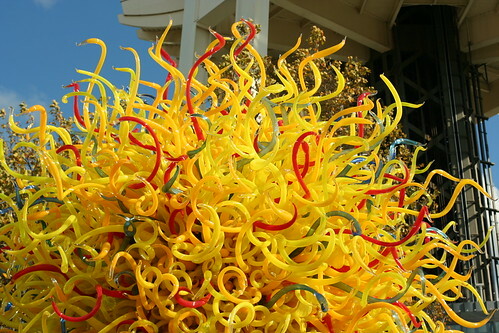 Dale Chihuly is a native of the area, growing up in Tacoma, and a huge source of local pride. 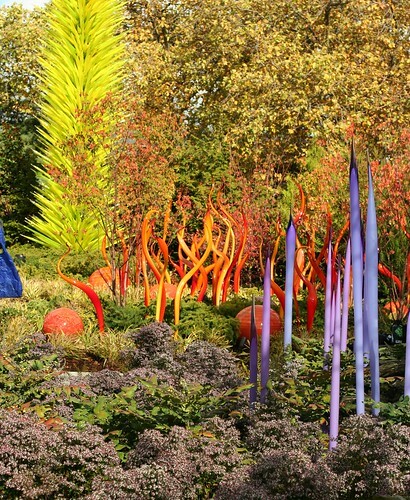 He established glass as a respected art medium and started a glass program at the Rhode Island School of Design. We took our girls and our nieces as well. 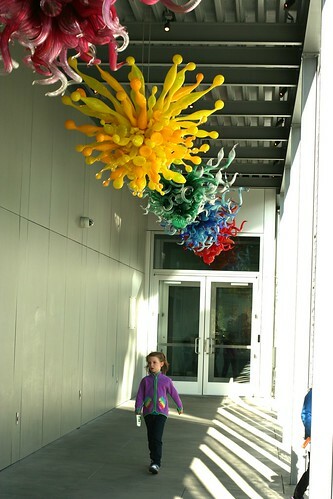 I was pretty sure the large, colorful and playful pieces would hold their attention. 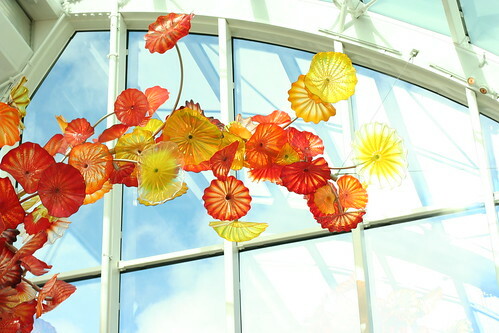 The girls were in awe (as were we) of the structures all made out of glass - unbelievable! It very much had a larger than life feel to it. 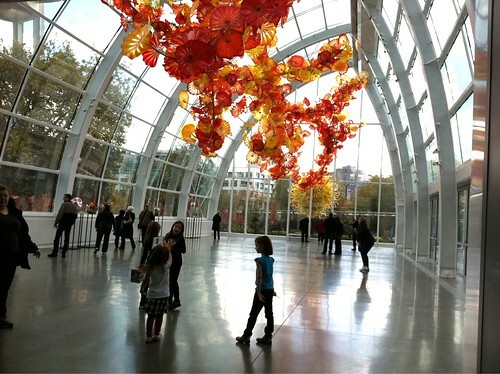 Most of the installations were large and very bold. In you are ever in Seattle you must make a stop here. For you locals, walk, run just get there soon! ooh, looks awesome. 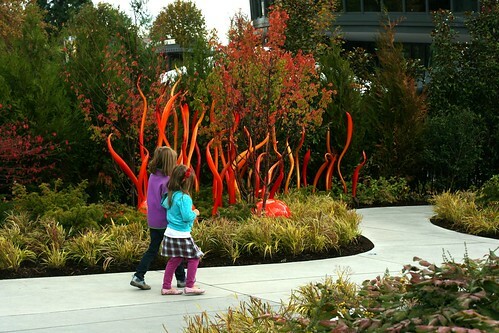 I keep forgetting about this and we've been to the Seattle Center several times. thanks for the reminder! Oh, I also LOVE this museum. 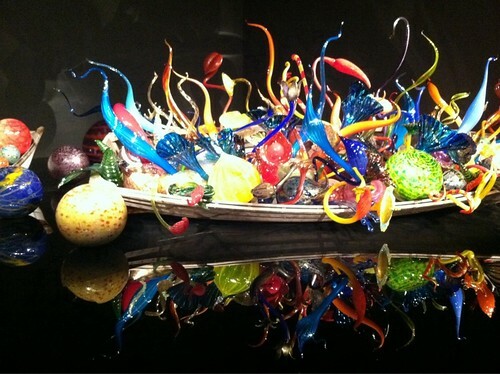 My favorite is the canoe full of balls on the mirrored floor! It is on my list for my next visit! Lovely! 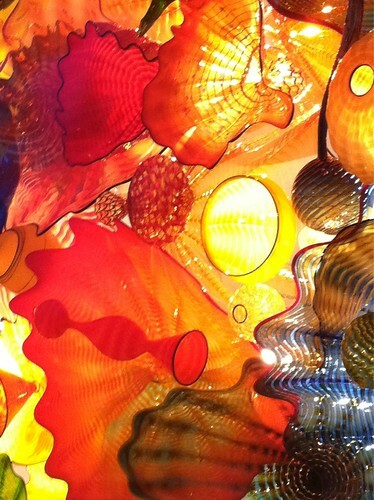 We took the kids to a Chihuly exhibit in San Francisco a few years ago (maybe not the best choice for toddlers; I was a nervous wreck the whole time) and it was incredible. Even the kids were fascinated by it. 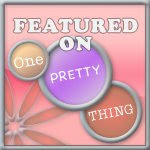 Your photos are gorgeous. For some reason, Columbus (Ohio) has a lot of his work. It is so lovely.